Highlight certain comments (color, font size, etc) in multiple programming languages. VS10x Comments Extender is a Visual Studio 2013/2012/2010 extension built with the goal ofmaking code commenting more useful from both a documenting and a productivity standpoint. By using a simple comment prefix system, you can change the default formatting of a comment by affecting its foreground color, font size and style. 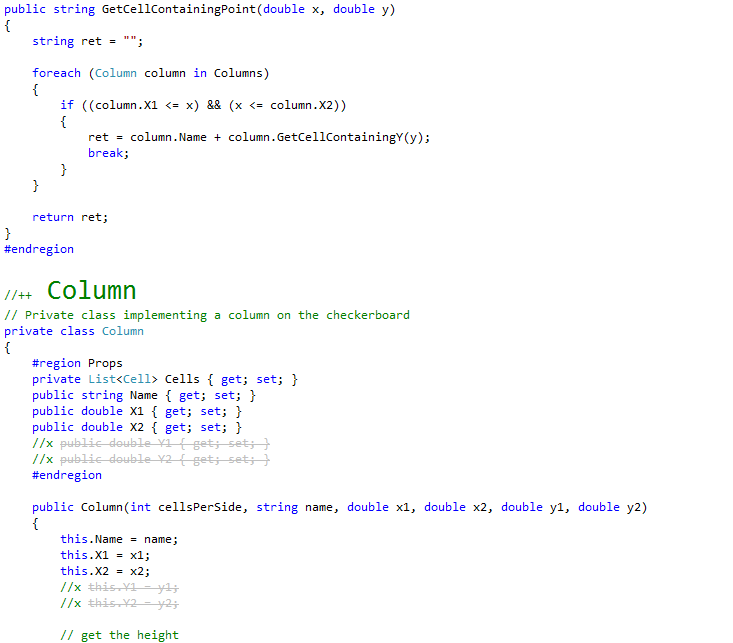 It works with C#, VB, C++, F# and markup language (HTML, ASPX, XML, XAML) documents. Also, you can format task comments (TODO, HACK, UNDONE) in terms of foreground color. 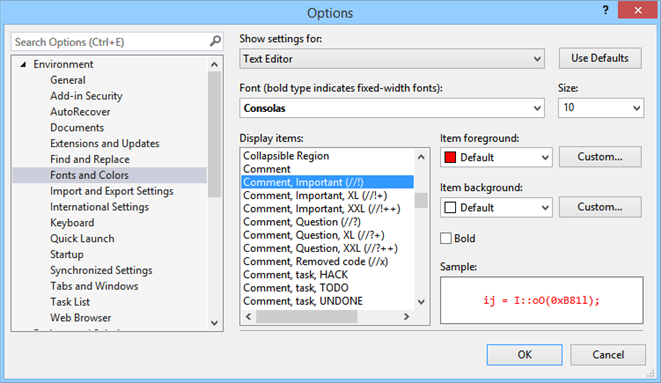 VS10x Comments Extender can be customized in terms of colors, font size and enabled/disabled state for each comment style. Font size for large and extra large styles, as well as enabled/disabled state can be set by opening the "VS10x Comments Extender - Customize" dialog box from the VS10x menu entry on the main menubar. 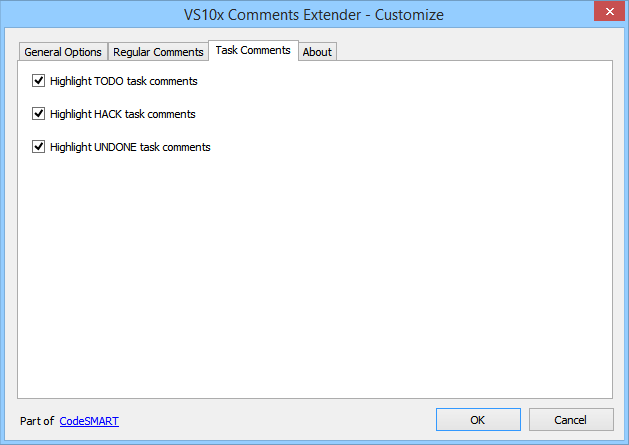 Setting changes in "VS10x Comments Extender - Customize" take effect immediately (i.e. there's no need to reopen code windows or restart VS anymore). 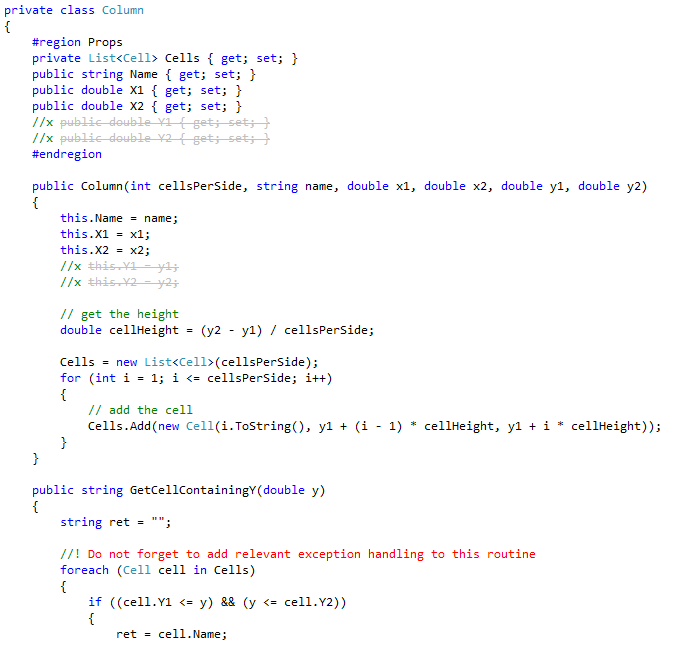 Fixed crash conditions on Visual Studio 2012. 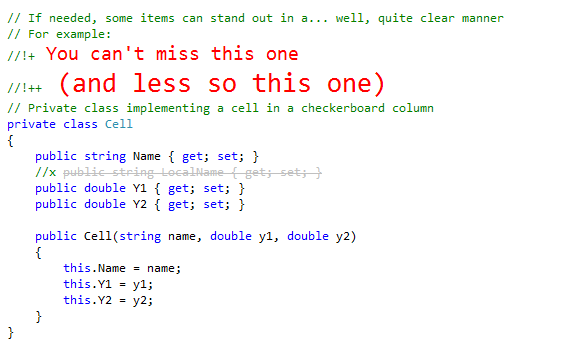 The comment ending tag is now excluded from formatting in markup languages (HTML/ASPX/XAML/XML). Added support for markup language documents, i.e. XAML, XML and HTML (ASPX included). Only for single-line comments, or the first comment line in case of multi-line comments. Added an option to control whether or not a whitespace is reqired after the marker. then the 'Comment' text will be colored. Redesigned the 'Options' dialog box. Added options to control the availability of the small and extra small size comments (//-, //-- in C#/C++ and '-, '-- in VB). Attempts to solve a crash. Added in-string testing; the algorithm is not comprehensive, as a I preferred to favor speed over comprehensiveness (i.e. it will work in 99% of the cases, as making it work in 100% of the cases would have tripled processing time). FIX: Beta expiration message was locking the UI thread. FIX: User-defined large / extra large comment sizes were not saved/restored. NEW: User-defined large / extra large comment sizes are now expressed relatively (i.e. by percentage) to the code window font size. Changed name to "VS10x Comments Extender" (i.e. plural) for better web/gallery search matching. Corrected a typo in the Options dialog. Besides C# and VB, "VS10x Comment Extender" now supports C++ and F# as well. The behavior can be fully customized now (comment styles enabled/disabled state, font sizes for large/xlarge). Colors can still be changed in the VS "Fonts and Colors" dialog. 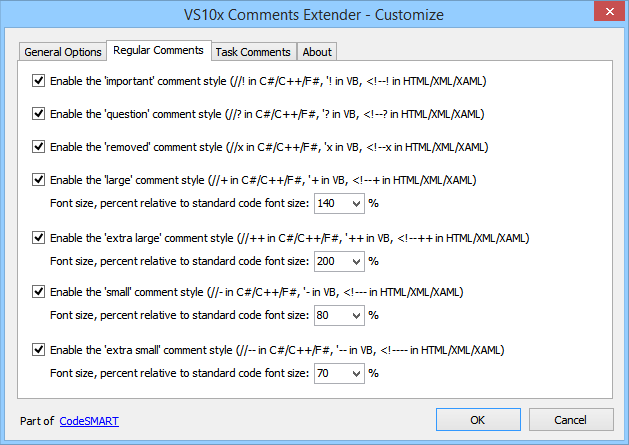 VS10x Comment Extender participates now to the VS10x entry on the main menu bar. 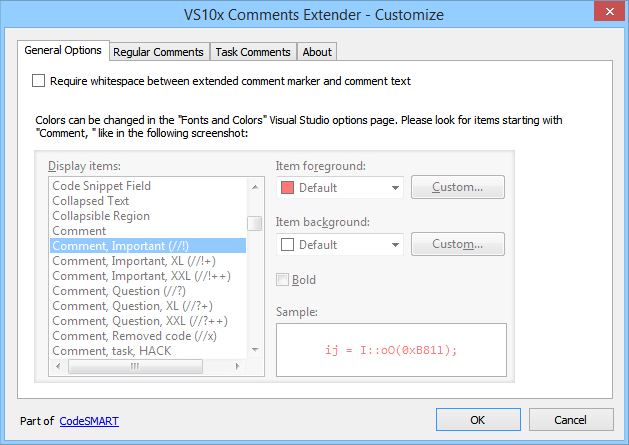 For now, "VS10x Comments Extender - Customize" is the only option it adds.